Shelter Cove is a gorgeous, small community in Livingston, Texas. This Polk County neighborhood is a prominent Lake Livingston subdivision. 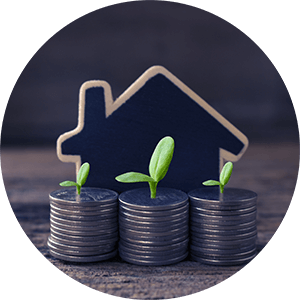 Buyers who are in search of a house for sale in Shelter Cove will discover that along with the prosperous real estate opportunities, there are exhilarating activities available locally. 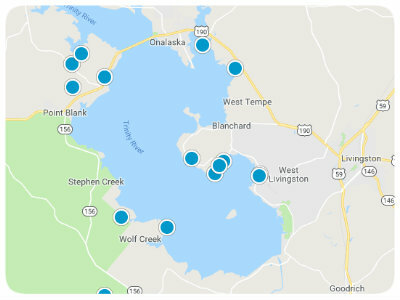 When living in such proximity to Lake Livingston, homeowners are able to try their hand at fishing, sailing, boating, and water skiing. Along with the thrilling activities on the water, there are movie theaters, grocery stores, restaurants, and bowling alleys within driving distance from the community. 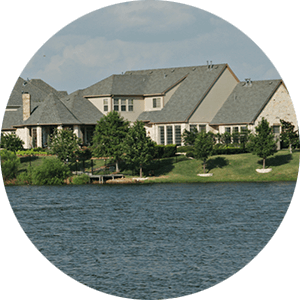 Shelter Cove real estate presents prospective homebuyers with waterfront homes for sale in Texas. Homebuyers can find vacation homes, weekend getaways, as well as permanent residences in the community. 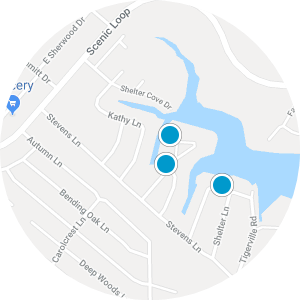 Waterfront homes for sale in Shelter Cove, Texas featuring boathouses can be found along with land for sale in Shelter Cove. With ample land for sale, Shelter Cove is an ideal place to build the house of your dreams- being next to the lake is a beautiful bonus. If you are interested in purchasing an affordable house for sale in Shelter Cove, Texas, please contact us today. Nice lake lot ,boat ramp ,Just under 10k sq ft lot in great Shelter Cove Lake Livingston subdivision.